Initially, I talked about different parts of the heelwork – details, endurance and distractions. I often train them separately, but they must of course also be combined. I can’t keep on turning around or walking in circles for all eternity since the goal is to be able to walk in the direction I want, and that the dog just tags along with me. When I combine the different parts, I sometimes loosen the criteria as not to make it too difficult for the dog, but later on I of course want all parts to be performed equally well even when I put them together. I achieve this by occasionally trying to combine the parts together, analyzing how it went and training more on the parts that did not work so well. 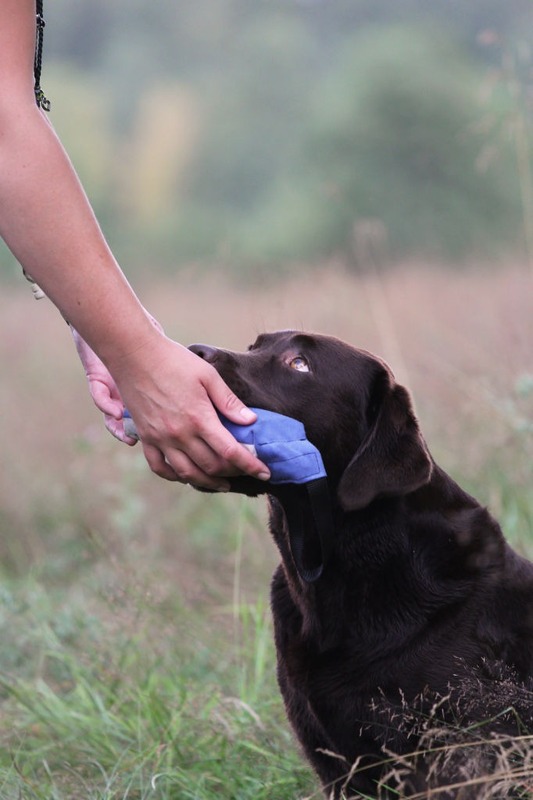 I also usually make sure to warm up so that the dog can have a nice and calm h heelwork before, for example, we start to train with others or do something else that is difficult for the dog. 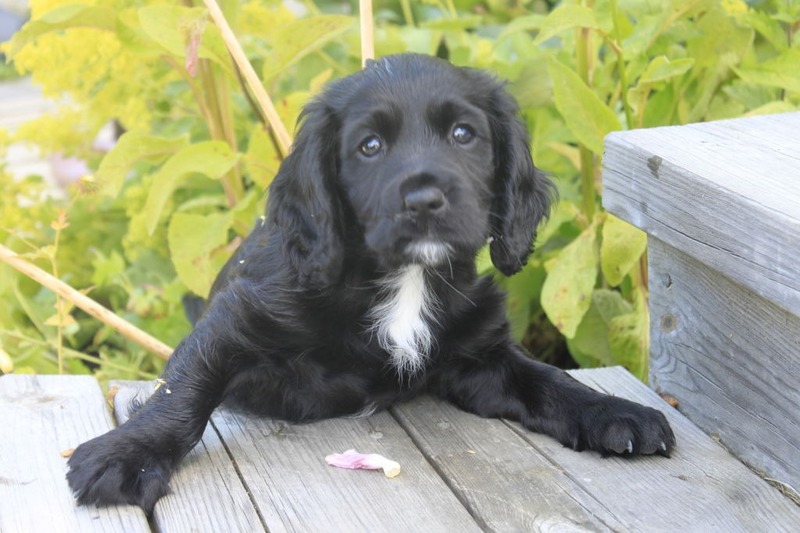 Then maybe we are practicing the difficult heelwork for a while together with the others before we take a break and increase the distance again – everything adapted to what the dog can handle and with a gradually increased difficulty level. 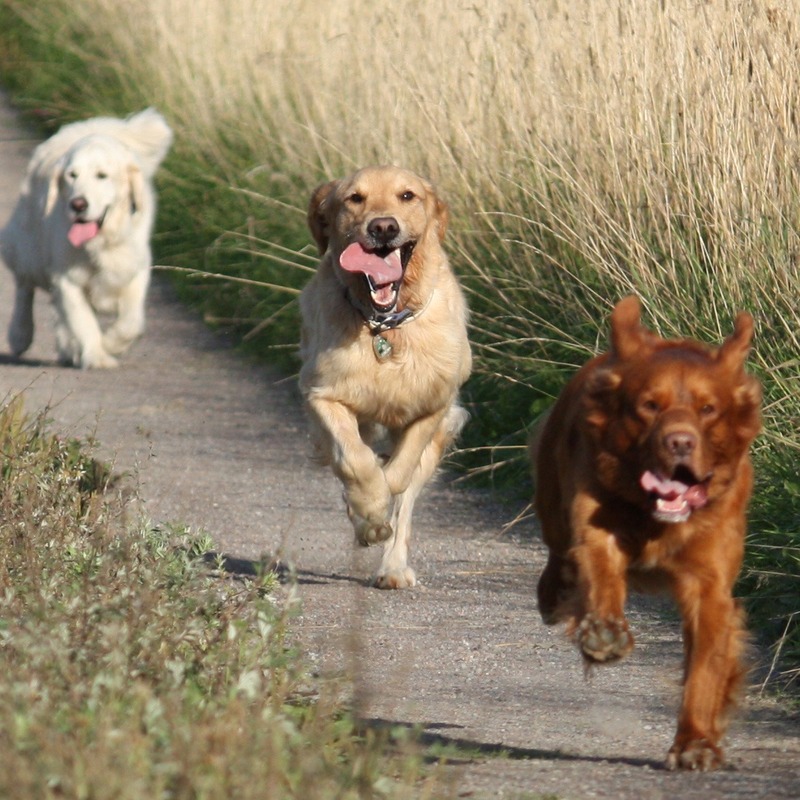 What a distraction is depends on the dog, but common distractions are, for example, other dogs retrieving, objects that are thrown but should not be retrieved now, guns or other people who walk in front of one and scents. Walk ups with other dogs and a lot of stuff happening in front of the dog is one of the most difficult heelwork situations for almost all dogs. With eager dogs, the biggest distraction is often the dog’s own anticipation – that is, the anticipation that something exciting will happen. 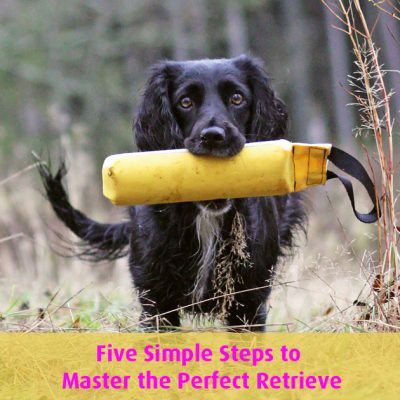 With calmer dogs, the heelwork might actually be better when there’s a lot of things going on – they simply need that to get going. 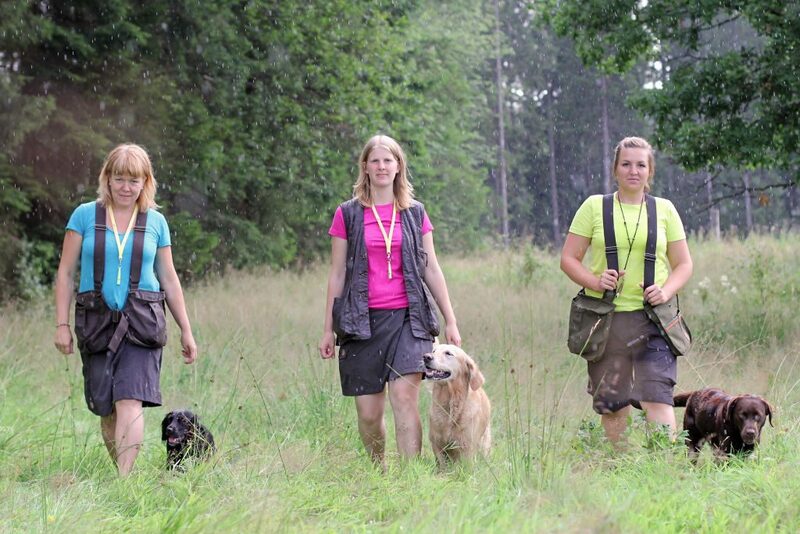 No matter what, you need to adapt both distractions and rewards to what your dog needs. 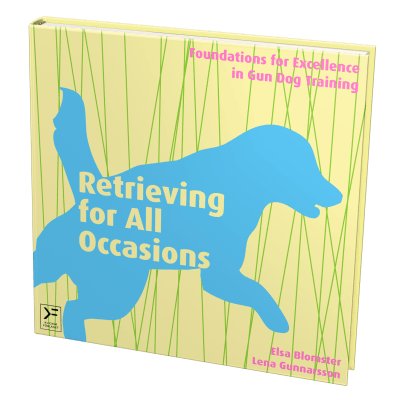 For an eager dog, it is a fantastic reward to get to work when it has walked nicely to heel, but if it always gets to do that as a reward, that builds even more anticipation. Therefore, I think it is good to rather often reward from my hand instead of rewarding with work. I also work a lot with several different areas where things have happened (a further development of heelwork between two food bowls ).I like to walk between different areas and put objects there for the dog to fetch later, or turn around and walk the other way so the dog can work in the opposite direction from what just happened. The basic rule is that the area that the dog has the most expectations is the “no go” direction, and only when it is balanced and properly focused, it will be allowed to work in that direction. 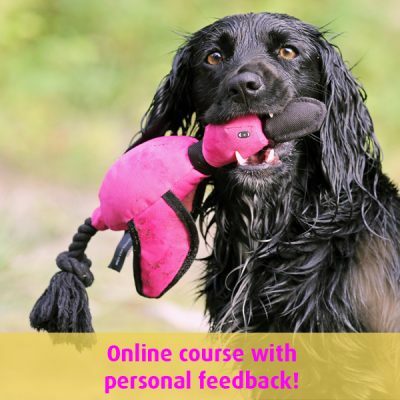 Think about what distractions you need to work with and think about how you can control your dog’s anticipation. No problem, we travel all over the world. and we’ll tell you more!